Wonder what the number one tip for building a successful social media presence in 2019 is? 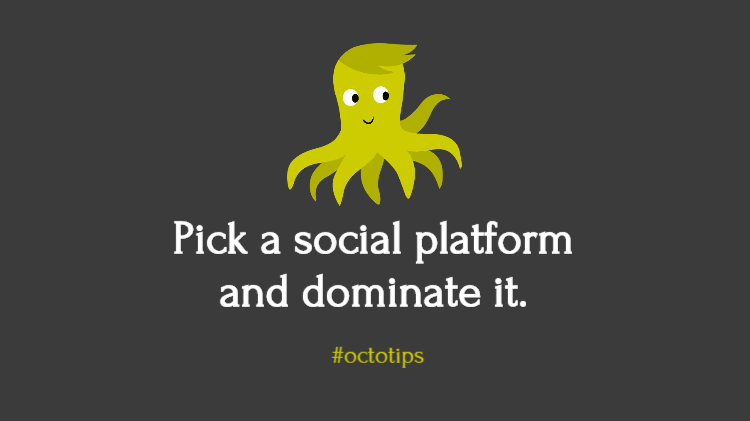 Pick a social platform and dominate it. Whether it’s travel photography on Instagram, threaded discussions on Twitter or images related to bakery on Facebook, create a clear personal brand on a platform that shows off your best skills. Some entrepreneurs have even built an entire business on a social media platform. Rachel Dunston, the founder of Rachel Bakes More Cake, built a thriving cake business on Instagram. Make sure it’s a subject that you’re personally interested in since it will be attached to your personal brand. The more of it you have, the more you can cash in on opportunities for growth of all kinds. Find out where your target customer spends time online. Then pick one social platform and dominate on that one. Claim your profiles on the other networks, but focus most of your time on that one. You can use social media scheduling tools like SmartPublisher to automate your presence on the other platforms. Social media is personal. It’s your personal brand first, and your job or business second. You need to convey your persona. Get above the noise. Be different. In the world of social media you need to stand out and be remembered. Add to your personal brand visuals that complement it. Attention spans are short so be sure to add photos and videos to your social content that will be easily recognized and connected to you.